On 4 November 1976 a cornerstone was placed on a new high-school building in Nooruse Street. Kingissepa Secondary School was founded formally on 21 June 1978. In 1980 the school was named after Aleksander Mui. In June, 1990 the school's name was changed again into Kuressaare Secondary School. 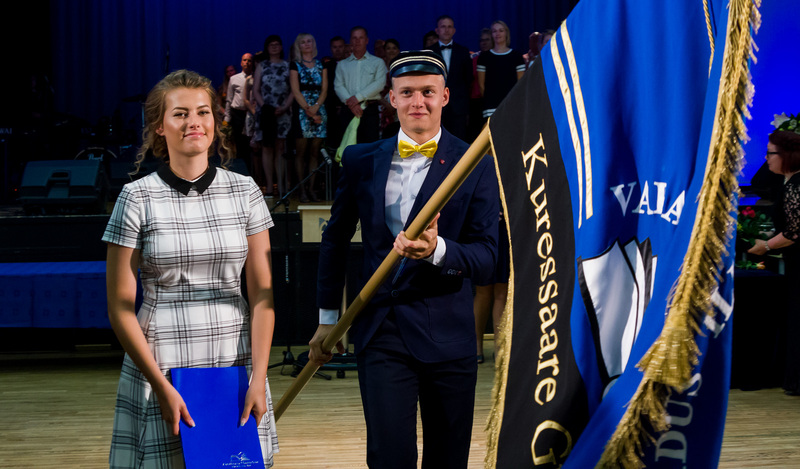 Since March 7 1994 the school was named Kuressaare Gymnasium by Kuressaare City Government. Kuressaare Gymnasium is an educational institution managed by Kuressaare city, where all three school stages : elementary, basic school and gymnasium function together. Our aspirations in Kuressaare Gymnasium, our vision and ideals have been summarized in three words: FREEDOM, BEAUTY, TRUTH – we try to do our job so that our alumnae in their future lives would strive towards the ideal expressed in those three words. 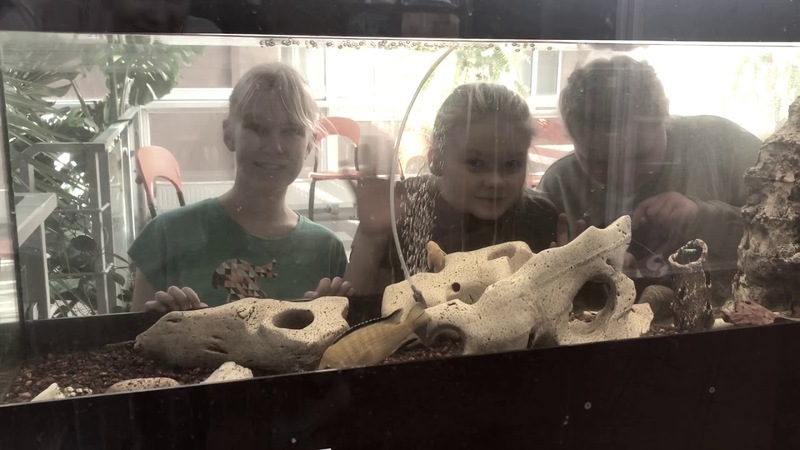 Our mission is to work in a way that would make people who are connected to the school say, "Kuressaare Gymnasium – and you do want to go to school". In other words, they express their contentment and wish to work or study here. Our aim is to shape an ethical person, who can cope with life, a lifelong learner; offer as many teachers and students as possible the opportunity to move to the highest level of their self-determination in their understandings and aspirations. The school's flag was endowed on the school's 20th anniversary ceremony in August 1998. The schoo'sl logo was implemented in 1994. The author is Liina Õun. The cap of Kuressaare Gymnasium (blue-black-gold) is a symbol which shows its owner's connection to Kuressaare Gymnasium. For the first time the cap is given to the student on their first day of school or at the cap ceremony, in other cases it can also be given on the anniversary of the gymnasium or at the jubilee events by the school board. 1978 – 1987 Kusti Kokk. Since 1987 to present Toomas Takkis. Algas Swedbank programm #meiereis, 5.d vajab koolipere toetust!